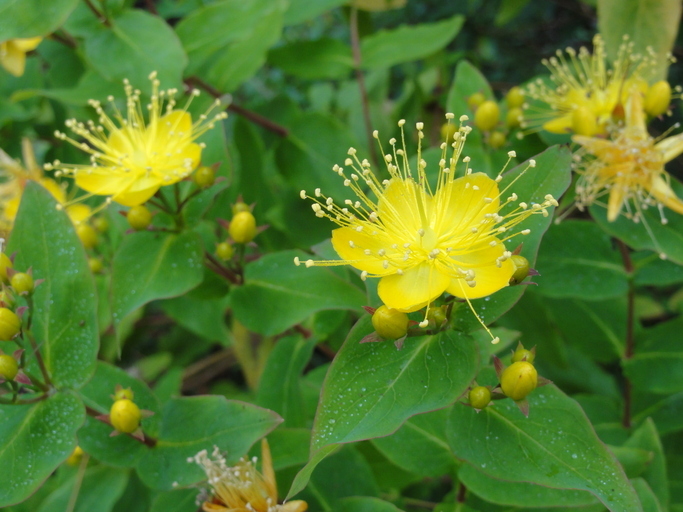 Hypericum grandifolium (large-leaved hypericum) is a shrub (family Clusiaceae) with yellow flowers and oval-shaped leaves found in the San Francisco Bay area in California. It is native to Madeira and the Canary Islands. It grows in woodlands. It spreads via rhizomes and seeds. Its seeds are buoyant and can be carried by water.